Since her concerto debut with the Boston Symphony Orchestra at age 17, cellist Julia Bruskin has established herself as one of the premiere cellists of her generation. She performed Samuel Barber’s Cello Concerto with conductor Jahja Ling at Avery Fisher Hall and has also been soloist with the Nashville Symphony, Utah Symphony, Virginia Symphony, and Pacific Symphony among others. Her recent CD of music by Beethoven, Brahms, and Dohnanyi was praised by Fanfare Magazine for its “exquisite beauty of sound and expression”. A founding member of the critically acclaimed Claremont Trio, Ms. Bruskin won 1st prize in the 2001 Young Concert Artists International Auditions and was awarded the first ever Kalichstein-Laredo-Robinson International Trio Award. The trio tours extensively, including recent concerts at the Library of Congress, the Smithsonian Museum and Boston’s Isabella Stewart Gardner Museum. Bridge Records released the Claremont Trio’s recording of the Beethoven “Triple” Concerto with the San Francisco Ballet Orchestra and Beethoven’s Trio Op. 1 No. 1 to rave reviews. Ms. Bruskin plays frequent solo recitals with her husband, Aaron Wunsch, and together they are joint artistic directors of the Skaneateles Festival in the Finger Lakes region of New York. A frequent guest at summer music festivals, Ms. Bruskin has performed at Chamber Music Northwest, La Jolla Summerfest, Mostly Mozart, Caramoor, Saratoga, Bard, and Norfolk, and toured with the Musicians from Ravinia. Ms. Bruskin has taught at the Juilliard Pre-College and Queens College, and given master classes at the Eastman School of Music, the Peabody Conservatory, the Boston Conservatory, and Duke University. Born in Boston, Massachusetts, Ms. Bruskin's teachers have included Timothy Eddy, Joel Krosnick, Andres Diaz, Norman Fischer, and Nancy Hair. 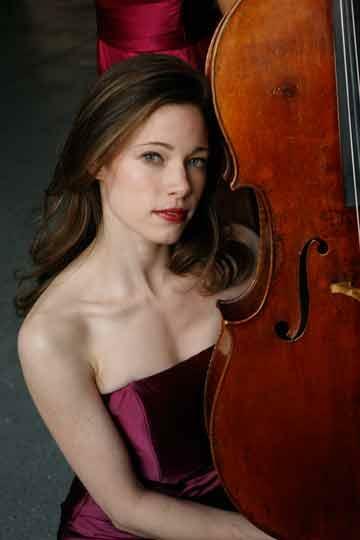 She completed the five-year double degree program at Juilliard and Columbia University. Since 2014, Ms. Bruskin has been a member of the Metropolitan Opera Orchestra. Mary Claire Curran is a lyric soprano known for her charismatic stage presence and sparkling high notes. Praised as a “voluminous soprano” (South Florida Classical Review), Mary Claire is the winner of the 2017 Rohatyn Great Promise Award from the Metropolitan Opera National Council Auditions, Eastern Region. In the fall of 2017, she covered the roles Madeline Usher, Young Madeline, and Virginia Otis in the double bill of Gordon Getty’s Usher House and The Canterville Ghost with the Center for Contemporary Opera in conjunction with LA Opera. In addition, she was a 2017 grant recipient of the Anna Sosenko Assist Trust. In the spring of 2018, she premiered scenes from the new opera The Warrior’s Wivesby composer Matthew Evan Taylor in New York City. Praised as “luscious,” “amber-toned,” and “dazzling” by Opera News, American mezzo-soprano Samantha Hankey is quickly establishing a name for herself both at home and abroad. In the 2018/19 season, Samantha will make her Metropolitan Opera debut as Pantalis Mefistofele, and returns to the Met throughout the year in Adriana Lecouvreur, Carmen, Das Rheingold, Götterdämmerung, and Rigoletto. She will also make her company debut at Opernhaus Zürich as Cherubino Le nozze di Figaro. In addition to these debuts, Samantha will cover the title roles in Agrippina at the Bayerische Staatsoper and the premiere of Nico Muhly’s Marnie at the Metropolitan Opera. Highlights of Samantha’s 2017/18 season included important role debuts as both Rosina Il barbiere di Siviglia at Den Norske Opera and Siébel Faust at Grand Théâtre de Genève. As a member of San Francisco Opera’s prestigious Merola Opera Program, Samantha sang the role of Angelina La Cenerentola to enthusiastic critical acclaim, with the SF Gate praising her performance as “dark-hued, confident...formidable.” Equally at home in classic repertoire and contemporary music, Samantha took part in two significant workshops last season: Ricky Ian Gordon’s Intimate Apparel, in association with the Metropolitan Opera and Lincoln Center Theatre, and David Hertzberg’s The Wake World, commissioned for Opera Philadelphia. Samantha enjoys a close collaboration with composer David Hertzberg and was instrumental in developing the title role of his opera The Rose Elf, which was written for her, and which she will premiere in New York this season. Samantha’s growing career includes awards in a vast number of national and international competitions. In 2018, she won both First Prize and the Media Prize at the Inaugural Glyndebourne Cup. The Arts Desk wrote of her victory: “Polished, golden of tone, and convincing.... She has a natural charisma, centering on the voice itself...allowing her unfailing musicality to shine through.” In 2018, Samantha also received a Career Grant from the Richard Tucker Music Foundation, following an earlier 2016 award of a Sara Tucker Study Grant and both 2nd Prize and the Birgit Nilsson Prize at Operalia. In 2017, she was named a Grand Finals Winner by the Metropolitan Opera National Council, took First Prize in the Dallas Opera Guild Vocal Competition, and received a Leonore Annenberg Arts Fellowship in that foundation’s final year. In addition to her stage performances, Samantha is an accomplished recital and concert artist. In 2017, she made her Carnegie Hall debut in Handel’s Messiah with Musica Sacra and performed Rossini’s Stabat Mater in North Carolina. Prior to that, Samantha was heard at Lincoln Center’s Alice Tully Hall in “Juilliard Songfest: Songs of Richard Strauss,” curated by Brian Zeger, as well as a program of Liszt, Schumann, and Strauss songs that she presented as winner of the Vocal Arts Honors Recital. Her voice has also been heard on the radio, including broadcasts from PlayRTS, BR-Klassik, WQXR, and NPR. In 2012, Samantha was featured in HBO’s documentary A YoungArts Master Class with renowned soprano Renée Fleming. Samantha is a graduate of the Juilliard School, where she received both her Bachelor and Master of Music degrees. While there, Samantha performed in no fewer than six productions. Her highlighted roles included Diana in La Calisto, Varvara in Katya Kabanova, and the title role in Agrippina, of which Musical America wrote, "Samantha Hankey sang Agrippina in a lustrous, commanding mezzo soprano." Samantha’s academic and vocal accomplishments at Juilliard were recognized with several distinctions, including the Peter Mennin Prize for Outstanding Achievement and Leadership in Music and the Juilliard Kovner Fellowship. During her training, Samantha also participated in several summer programs, such as The Internationale Meistersinger Akademie, Houston Grand Opera’s Young Artist Vocal Academy, and The Aspen Music Festival. Samantha is a native of Marshfield, Massachusetts and attended the Walnut Hill School for the Arts high school in Natick. Mr. Martin conducts Fledermaus this Holiday season for Amore Opera. Last season Maestro Martin conducted a gala at Amore which featured Met singers Francisco Casanova and Aprile Millo. Mr. Martin has treasured an association of almost 20 years with the astounding Eve Queler who will celebrate her 50th year with Opera Orchestra of New York this coming season. Mr. Martin is one of the not many people who can say they've conducted 100 performances of Puccini’s La Boheme. Doug was one of two conductors of Baz Luhrmann’s La Boheme on Broadway. The opera was sung without cuts in Italian with 28 piece orchestras in San Francisco, New York, and Los Angeles. Mr. Martin has a Performer’s Certificate in piano from SUNY Fredonia, and a Masters of Music degree in piano performance from University of Indiana Bloomington - where he worked extensively with Virginia Zeani, and John Wustman. As an Associate Instructor at IU - he coached productions including Wozzeck, and Love for Three Oranges; while attending classes alongside Gayletha Nichols! 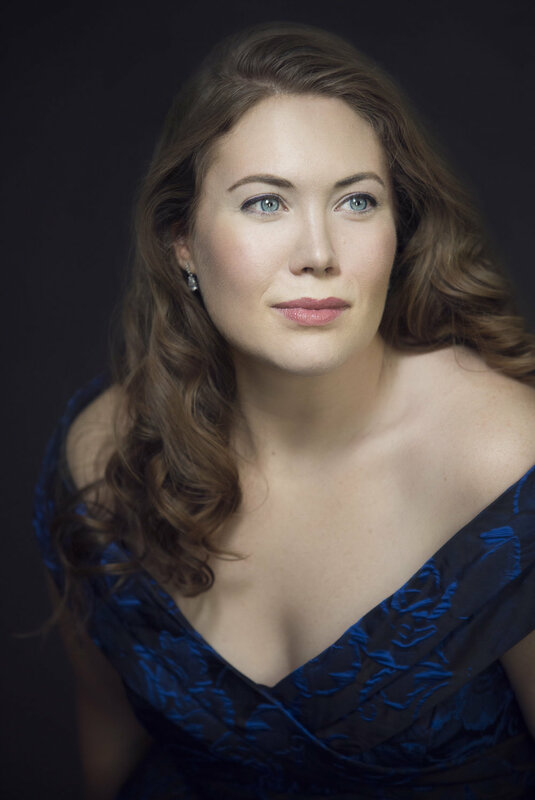 A coloratura soprano praised for her "scintillating precision" (Opera News), Emily Misch is establishing herself as a clear-voiced, versatile, and intelligent performer. Her 2017-2018 season included the Grand Finals of the Metropolitan Opera National Council Auditions, Olympia in Les Contes d'Hoffmann (Opera North), Valeria in the workshop of Tom Cipullo's Mayo (National Opera Center), and the soprano solos in Mozart's Requiem, Haydn's Paukenmesse (Huntington Choral Society), and Carmina Burana (Altoona Symphony Orchestra). She has been awarded prizes from the Schuyler Foundation for Career Bridges, the Gerda Lissner Foundation, Mannes College, and Yale University, and has participated in young artist training programs at Wolf Trap Opera Company, Opera North (NH), and Opera on the Avalon. 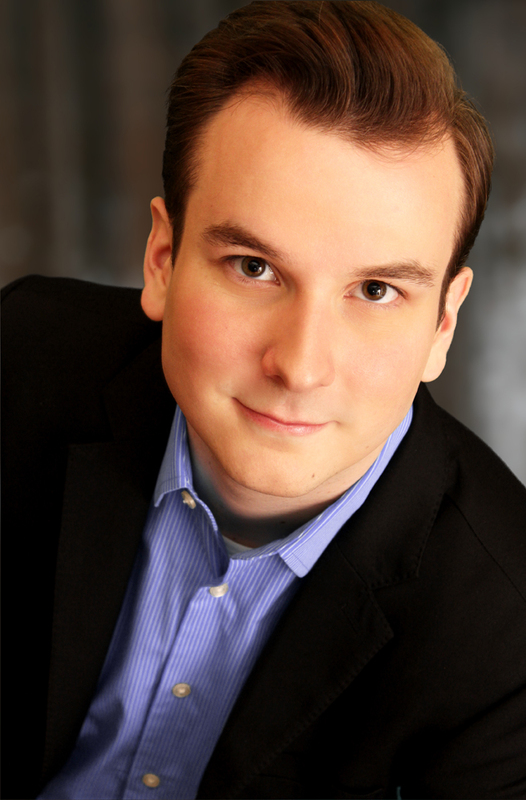 Tenor Brian Michael Moore will make his Met debut singing the role of the Song Seller in Il Tabarro. He completed the Domingo-Colburn-Stein Young Artist Program at LA Opera, where he was seen as Le Remendado in Carmen, The Governor in Candide, Spoletta in Tosca, and Nathanaël in Les Contes d’Hoffmann. During the summer of 2017, he performed the role of Don Ottavio in Don Giovanni with James Conlon at the Spoleto Festival dei Due Mondi and The Prince in Luke Bedford's Seven Angels at the Aspen Music Festival. He made his Los Angeles Philharmonic debut in 2017 singing the First Armored Man in Die Zauberflöte conducted by Maestro Gustavo Dudamel. Other recent appearances include the Shepherd in Oedipus Rex at the Cincinnati May Festival, Don Ottavio in Don Giovanni with the New York Opera Exchange, several roles in Conrad Susa’s Transformations as part of the Merola Opera Program, and the Animal Tamer in Der Rosenkavalier as a young artist at the Cincinnati Opera. In 2015, he performed the Duke of Mantua in Rigoletto at the Asheville Lyric Opera and the Brevard Music Festival. Mr. Moore is a winner of the 2018 Sara Tucker Study Grant, and was recognized as Una Finestra Sui Due Mondi from the 2017 Spoleto Festival Dei Due Mondi. This summer, he returned to the Merola Opera Program to participate in the Schwabacher Summer Concerts. He completed his bachelor and master degrees at the Manhattan School of Music. Kevin Ray is praised by Opera News for his “commendable style” and abilities with “subtle coloristic nuance.” This season, he joins the roster of the Metroplitan Opera for their productions of Aida, La fanciulla del West, and Das Rheingold. Last season, he sang his first performances of King Charles VII in Tchaikovsky’s The Maid of Orleans with Odyssey Opera. Other recent performances include his role and company debuts as the Prince in Rusalka with Arizona Opera, Erik in Der fliegende Holländer with Estonian National Opera, and Bacchus in Ariadne auf Naxos with Berkshire Opera Festival. He also recently made his Los Angeles Philharmonic debut singing Beethoven’s Choral Fantasy under the baton of Mirga Gražinytė-Tyla, joined the Phoenix Symphony for Beethoven’s Symphony No. 9, the Florida Orchestra for Rachmaninov’s The Bells, the Midcoast Symphony Orchestra for Verdi’s Requiem, and was a resident artist at the Ravinia Festival Steans Music Institute. The tenor recently returned to Houston Grand Opera to sing performances of the company’s new commission of Iain Bell’s one-man opera, A Christmas Carol in addition to returning to the company for Roderigo in Otello, Beadle Bamford in Sweeney Todd, and both the First Armed Man and Second Priest in Die Zauberflöte. He is an alumnus of the Houston Grand Opera Studio and his previous roles with the company include Eisenstein inDie Fledermaus, the Third SS Officer in Weinberg’s The Passenger, Melot in Tristan und Isolde, and the Messenger in Aida, in addition to being responsible for responsible for both Froh and Loge in Das Rheingold as well as Don José in Carmen. He also sang the Defendant in a special performance of Gilbert and Sullivan’s Trial by Jury presented by the company at the Harris County Courthouse and scenes of Heggie’s Moby Dickand Carmen in concert. Mr. Ray’s other recent engagements include his first performances of the title role of Peter Grimes with Chautauqua Opera; Bacchus in Ariadne auf Naxos presented by his alma mater, the Curtis Institute of Music, in association with Opera Philadelphia and the Kimmel Center for the Performing Arts; as well as Don José in Carmen with Wolf Trap Oprea and the Lyrique-en-Mer/Festival de Belle-Île. While a Santa Fe Apprentice Artist, he created the role of the Second Clubman in the world premiere of Moravec’s The Letter. Also with the company, sang the role of the Poet in Menotti’s The Last Savage, covered the Drum Major in Wozzeck, and performed scenes of the title role of Idomeneo. On the concert stage, Mr. Ray has joined the Philadelphia Orchestra, Fort Worth Symphony Orchestra, and the Sunriver Music Festival for Beethoven’s Symphony No. 9. He has also sung Verdi’s Requiem with the Arkansas Symphony Orchestra, Beethoven’s Missa Solemnis with the Peoria Symphony Orchestra and has appeared in numerous concerts with the Opera Orchestra of New York. He is a 2016 second prize winner in the Wagner division of the Gerda Lisnner Foundation’s International Vocal Competition and a 2015 winner of the William Matheus Sullivan Musical Foundation Award. The tenor was one of eight finalists in Seattle Opera’s 2014 International Wagner Competition. He is a 2012 Grand Finalist of the Metropolitan Opera National Council Auditions as well as a three-time district winner of the competition in previous years. He has also received second prize from the Gerda Lissner International Vocal Competition and third prize in the Wagner division of the Liederkranz Comeptition. Additionally, he is a two-time recipient of study grants from the Wagner Society of New York. The Cornwall, New York native earned his Master of Music from the Curtis Institute of Music, at which his roles included Don José in La tragédie de Carmen, the Schoolmaster in Cunning Little Vixen, and Toni Reichsmann in The Elegy for Young Lovers. He is also a former participant in the Merola Opera Program of San Francisco Opera, where he sang scenes of Jenik in The Bartered Bride. He received his Bachelor of Music degree from the Oberlin College Conservatory of Music and completed further studies at the Accademia Rossiniana in Pesaro and the Mozarteum Sommerakademie in Salzburg. With a voice that is a “veritable force of nature” (Chicago Tribune), American soprano Tamara Wilson is quickly gaining international recognition for her interpretations of Verdi, Mozart, Strauss and Wagner. She is the 2016 recipient of the prestigious Richard Tucker Award from the Richard Tucker Music Foundation and Olivier Award nominee. In the 2018-2019 season, Tamara Wilson will return to the Metropolitan Opera to sing the title role in Aida conducted by Nicola Luisotti and makes her mainstage debut at Teatro alla Scala in a new production as the Prima Donna/Ariadne inAriadne auf Naxos conducted by Franz Welser-Möst, a role she will first sing with him conducting the Cleveland Orchestra as well. Ms. Wilson makes her Lyric Opera of Chicago debut as Leonora in Il trovatore, returns to the Canadian Opera Company as Verdi’s Desdemona in Otello, and returns to the Zurich Opera to sing Chrysothemis in Elektra. Her concert performances will hear her in Bruckner’s Te Deum with the La Scala Orchestra conducted by Christoph von Dohnányi, Beethoven’s Symphony No. 9 with the Royal Concertgebouw Orchestra under Welser-Möst, and her debut in Mahler’s Symphony No. 8 with the Los Angeles Philharmonic conducted by Gustavo Dudamel. In the summer of 2019, she will sing the title role of Aida in the famous Franco Zeffirelli production at Arena di Verona.